$80 per person and take home your own Christmas centre piece designed by you to match your Christmas styling, and your colours will be matched for you upon booking. 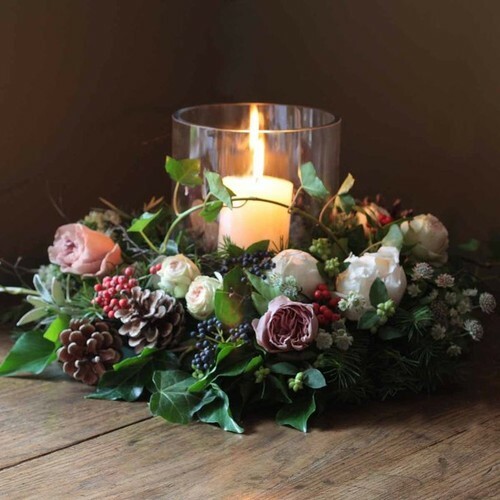 You will learn all the skills to be able to make a centre piece for any occasion in the future, and teach your friends.Decorate your Christmas table with a beautiful fresh flower centerpiece you made yourself, or use it as a Christmas gift to someone you know who will just love it! We will guide you through the process of designing and making a centre piece to suit your style and Christmas theme. You will be provided with fresh foliage, seasonal flowers, pine cones, candles and lots more awesome decorations to add your own touch. Everything is supplied as well as light refreshments and nibbles. Places are limited classes so book as soon as you can.